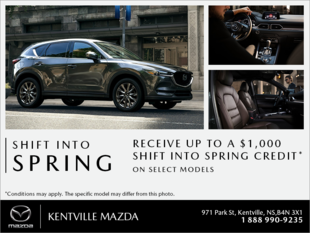 Kentville Mazda | Wow! You didn't realize these little things you do for people could have such a big impact, did you? Home > Customer Reviews > Wow! You didn't realize these little things you do for people could have such a big impact, did you? Yes, it has been a busy - but wonderful - time these past few days. As I said to you in my call yesterday, one of the little blue flashlights you guys gave me with the last oil change played an important part in my escape and survival at sea off Brazil. When the Concordia went over I was below decks in my cabin. The lights went out and I had to make my way out of the on-its-side situation to the companion way then up the stairs to the mess, and out the door to the side of the ship and the life pods. I literally stepped on my little flashlight - I kept it right by my bunk - as I scrambled to escape and used its light to make my way to safety. Later, in the life pod 'Tug's flashlight' was used constantly as one of two we had (the other was part of the emergency supplies). It was a real help in a very serious situation. Before I had left for the ship Claudia had suggested it would come in handy on my journey. Little did I know how important it would become. Thank you for your continuing good service Harlon, and thank you for this little 'beacon of hope'.